Are All E-Passports the Same? You May have heard of the term E-passport, or biometric passport, but actual passport may not be what you think. 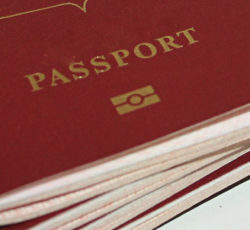 Unlike other electronic items, which are digital versions, an E-passport is a physical booklet that you carry with you. The difference is that it has a chip embedded into it like most credit cards have today. This chip carries all the information in your paper passport, and it can be read by a reader a short distance away. While each country has their own look and feel to the passport booklet, the e-passport has its own standards that each country follows. This way all countries will be able to electronically verify the passport and the holder without any issues. Despite small differences, each one of them are very similar. Each nation will follow the ICAO (International Civil Aviation Organization) Standard that is laid out in Doc 9303. This document sets up the basic security standards that all countries must have in the chip. Not only do these standards help to keep your information safe, they also allow the various nations to have one system to read all of the passport information. Per the standards, each chip contains the same information that is in the paper passport. The differences, however, are in the biometric information that is used to identify the owner of the passport. There are three ways to verify the identity: facial, fingerprint and iris recognition. Each country is able to use the one of its choice. Much like with credit card chip readers, the E-passport will use a radio frequency to transmit the information. A reader will receive the signal form contactless chip, where the computer system will verify the data. If it determines the passport is valid, it will then use the biometric feature to verify. For instance, if the holder’s image is on the chip, then the computer will take an image of the person and match it to the image embedded onto the chip. Then, it will look at a list of people who are non-approved. If the person’s name is not on the list, the holder of the passport will be granted entry. This works in a similar way to an agent looking at your image on the page of the book, and then looking at you to verify you are who you say are. Only, the computer will do this process much quicker, allowing for faster processing. If you have a passport in the U.S., your passport will have the chip; however, the U.S. does not have a true E-passport as it does not contain biometric data. It does have the passport image on the chip. Most of the countries that are using them are European nations, including the UK, European Union, Australia, Canada, Brazil, Dominican Republic, Japan, Turkey, Ukraine, and Thailand among others. While there are privacy concerns, the chips have proven to be safe and reliable, making these a modern version of passports.